An interior painting project is one of the most rewarding and enjoyable things that you can do to improve your home. When you and your family moved into your residence, you entered into a property that was designed for someone else. Painting your living spaces is a great way to place your mark on the area, adapting your home to your family. One of the most difficult aspects of the effort will be choosing the various colors that you will use throughout your home. 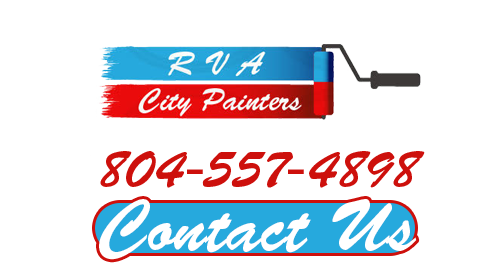 At RVA City Painters, our Richmond interior painting experts can help you with this and all other related tasks. In the end, you have a vision of what you want your home to look like. By following the listed helpful tips and by soliciting our interior painting services, you put yourself on the path of making that dream become a reality. Our Richmond painting contractors would be honored to assist you at every step of the way. Any interior painting project should be focused on the end user. In communal spaces, you should consider choosing a color that exemplifies the shared identity of your family. For a bedroom, use the personality of the loved one who sleeps in the room as a guide. 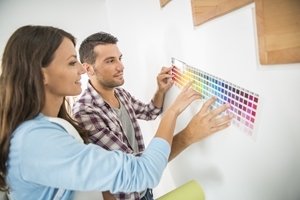 Thinking less about colors and more about yourself can lead to substantially enjoyable long term results for your investment in interior painting in Richmond. If you are still struggling to choose a color for a particular living space, try using architecture and furniture as a guide. If there is something that will remain in the room that will not be painted, you need to choose a color that will match and compliment the fixture or furniture. By doing so, you will most assuredly be pleased with the results. When you hire our Richmond interior painting contractors, you will receive the best possible information and advice at every stage of the project. For example, our experts can inform you as to how different light sources will effect the boldness of different paint colors. If you are choosing a paint color for a room with a large amount of natural light, you do not need to worry about this too much. In contrast, if you are painting a room that has incandescent lighting, you should know that this light source iwll enhance warm colors and dull cool ones. In contrast, fluorescent lighting does the opposite. With our assistance, you will make the best possible choices. If you need help with interior painting in Richmond, VA, then please call 804-557-4898 or complete our online request form.